Two Best Friends. Two fresh starts. Will old regrets sabotage their second chance? Join Janna and Shelby as they begin to pursue their combined dream and their quest for emotional freedom in the quaint, picturesque town of Cologne. Will Janna and Shelby defeat their fears — and continue to follow their dream? They Say Most People are Afraid to Follow Their Dreams. Daring Dreamer will convince you that when you acknowledge and defeat your fears anything is possible. Shelby loves the small-town, her job, and the residents, but she’s lonely. After packing up all she could salvage from her painful past, she endures more than her fair share of bumps on the winding road to recovery. Afraid her heart may be too damaged for real love, she drowns her sorrows in drunken nights at bars. With new heartache around every corner, can Janna and Shelby stay true to their friendship and their dream of lasting freedom? 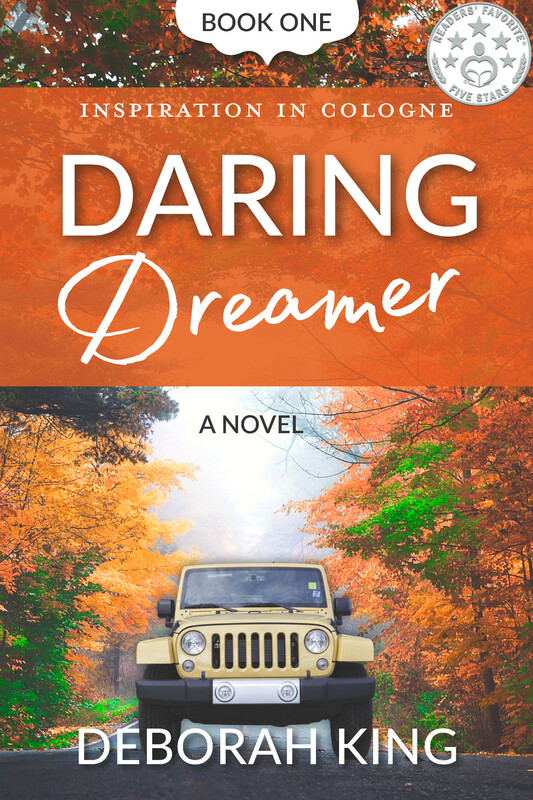 Daring Dreamer is the first book in the Inspiration in Cologne series of women’s fiction novels. If you like brave women, picturesque settings, and second chance romance, then you’ll love Deborah King’s empowering saga. Get your sneak peek to explore a risk worth taking today! While there is definitely a romantic interest in the story, Janna's dreams take center stage in this well-written and inspiring story.